Are you dealing with tooth loss from an injury or decay? Dental implants are the most healthy and natural-looking tooth loss treatment. Unlike other forms of dental restorations, dental implants stop the progression of dental issues caused by tooth loss. They also restore the patient’s natural appearance and function of their teeth. With dental implants, patients can confidently eat, smile, talk, and reclaim their dental health again. At Manteca Dental Care, our experienced dental implant providers, Dr. Rick Van Tran and Dr. Lance Carter, have helped countless patients restore their smiles. No matter the cause of your tooth loss, dental implants can give your smile a fresh start. Why is it Important to Treat Tooth Loss? Tooth loss is a common dental issue that affects millions of Americans. The leading causes of tooth loss are tooth decay, trauma, and periodontal disease. While tooth loss might seem like merely a cosmetic concern, many patients are surprised to learn that it can also lead to a range of functional issues. When left untreated, tooth loss can cause neighboring teeth to gradually shift in an effort to close the gap caused by the missing tooth. The shifting teeth create more spaces amongst other teeth, which then serve as traps for food and bacteria to get caught. This often causes patients with untreated tooth loss to suffer from gum disease, which then leads to bone loss over time. Another common issue associated with tooth loss is premature wear on the surrounding teeth. Chewing with fewer teeth means the remaining teeth are working in overdrive to do their jobs. The jawbone under the tooth loss site also remains unstimulated, which can lead to a loss in bone structure in the mouth and face, as well as facial sagging and premature aging. Dental implants are the most sought-after dental restoration for tooth loss or badly decayed teeth. Unlike dentures and dental bridges, implants replace the tooth’s natural root and provide a firm foundation for the replacement tooth, which is known as the crown. Dental implants are made up of three parts: the dental implant screw, the abutment, and the custom-made crown. The titanium dental implant screw is similar to the tooth’s root, since it is placed in the gumline and rooted into the jawbone. Over time, the dental implant heals and adheres to the jawbone through a process known as osseointegration. The implant serves as a secure foundation to support the remainder of the prosthetic tooth. After the implant heals to the jawbone, a connective piece, known as an abutment, is placed over the implant post. The abutment supports the crown, which is custom-made to match the rest of your teeth and fit comfortably in your mouth. ● A more beautiful smile. Cosmetically, dental implants are the most natural-looking tooth restoration options. They are custom-made to match the rest of your teeth, so patients can smile with confidence. Not to mention, dental implants are permanently fused to the bone, so patients will not need to worry about taking their restoration out at the end of the night. ● More eloquent speech. Denture patients often complain about their dentures slipping around in their mouth, making their speech slurred and muffled. With dental implants, patients can speak with confidence. ● Eat your favorite foods again. One of the biggest pitfalls of dentures is that they can make it difficult to chew efficiently. Dental implants function like real teeth, meaning you can eat whatever food your heart desires. ● Feel confident again. Many patients are embarrassed about their tooth loss and do not want other people to know they are living with restorations. Dental implants are so natural-looking and durable that you will be able to laugh, eat, and speak with ease. With dental implants, you can feel more confident knowing that you have your smile back, and most people will be unable to tell it is even a prosthetic. Dental implant technology becomes more impressive year by year. With proper upkeep and routine dental visits, modern dental implant treatments can last an entire lifetime. Success rates for dental implants vary on a case by case basis, depending on where in the jaw the implant is placed. However, in a general study, dental implants were seen to have a success rate of up to 98%. About 3 million patients in the United States have dental implants, and this number is increasing by about 500,000 people annually. With that said, most patients can receive dental implants surgery. For the most part, if a patient is healthy enough to undergo an oral surgery or dental extraction, then he or she is healthy enough to for dental implants. While dental implants are an incredibly popular treatment, patients will still need to schedule a comprehensive consultation to determine his or her candidacy. For instance, before receiving dental implants, it is important for patients to have healthy gums and bones. The underlying bone structure will need to be strong enough to support the implant. Patients will also need to commit to practicing good dental hygiene and attending routine dental visits. Some patients, like heavy smokers or people sufferying from uncontrolled diabetes or heart disease, may not be considered for dental implants. However, if you fall into the aforementioned categories, we still recommend scheduling a consultation, since this is often determined on a case by case basis. Are you ready to take the next step in reclaiming a healthier and more beautiful smile with dental implants? 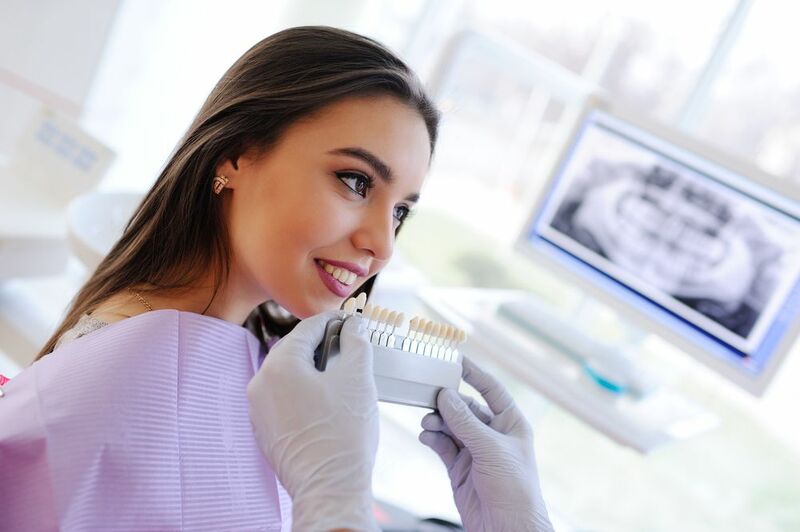 At Manteca Dental Care, our experienced providers are committed to helping patients improve their dental health in the most comfortable and successful way possible. Call Manteca Dental Care today at 208-441-5100 to learn more.